Day 1 & Day 2: Itzhak Perlman - Born in Tel Aviv, Israel, on August 31, 1945, Itzhak Perlman was a prodigious talent on the violin, appearing on The Ed Sullivan Show as a teen and studying at the Juilliard School. He went on to become one of the world's most renowned classical musicians and has collaborated with an array of talents, going on to work as a conductor as well. 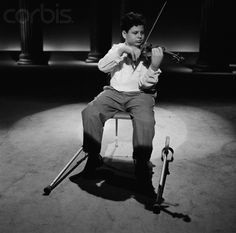 Itzhak showed great musical aptitude early in life; due to polio, however, his legs became permanently paralyzed at the age of 4. 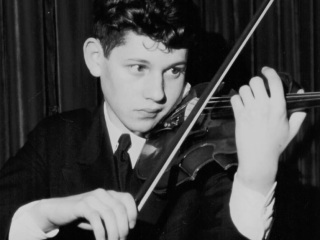 Yet despite doctors' skeptical forecasts about the possibilities of pursuing music, the young Perlman persevered. 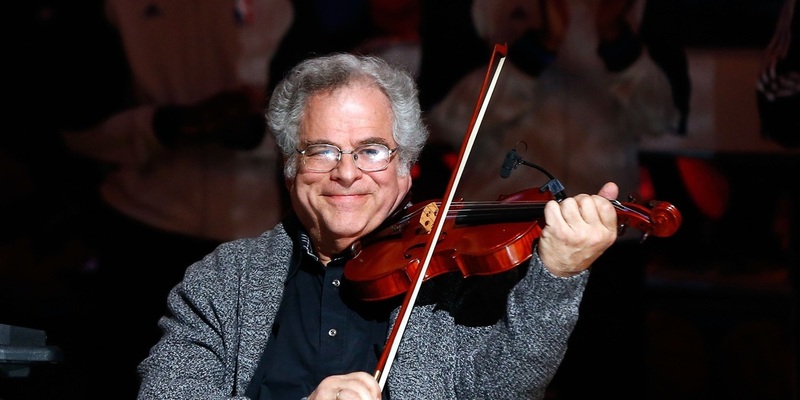 Over the following decades, Perlman has become a deeply revered musician who's played with all of the world's renowned orchestras, been featured in special events across the globe. He has done acclaimed movie score work as well, collaborating with former "Face of Creativity," John Williams, on the score for Schindler's List. 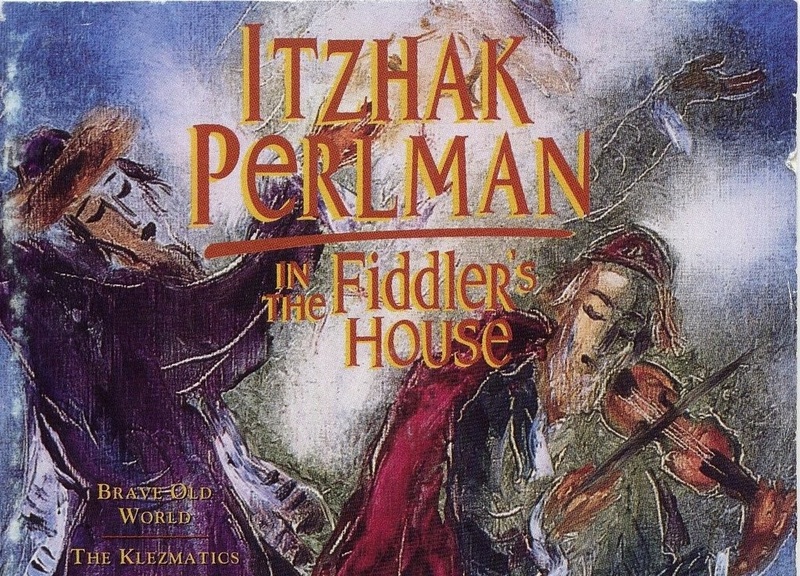 Perlman has also made forays into klezmer (traditional Jewish folk) musical traditions on offerings like the PBS special In the Fiddler's House (1995) and the album Live in the Fiddler's House (1996). 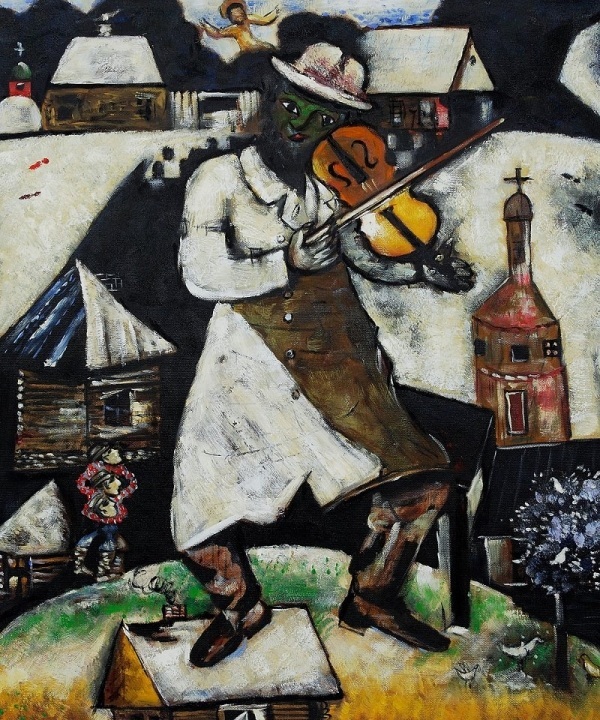 Originally, the word "klezmer", from the yiddish language, meant simply "musician". However, it has come to characterize the style of secular music played by Ashkenazi Jews for joyful celebrations such as weddings. Klezmer music is intended to replicate the human voice, including sounds of crying, wailing and laughing. It is generally the violin's job to do this imitation. Often, a klezmer band will include a fiddle, a bass or cello, a clarinet and a drum. Secondary instruments include hammered dulcimers and accordion. Like most aspects of European Jewish culture, the Holocaust, nearly decimated the tradition of klezmer music. Because klezmer, like most folk musics, is an aural tradition, when the older musicians died, the music died with them. A sparse few survivors, though, helped revitalize the music and musicologists have worked tirelessly to record their repertoires. Yitzak Perlman is active in insuring the continuity of Klezmer music which is gaining in popularity. Biography.com,. N.p., 2015. Web. 26 Apr. 2015. Itzhak Perlman plays for polio benefit. Don't miss this one! 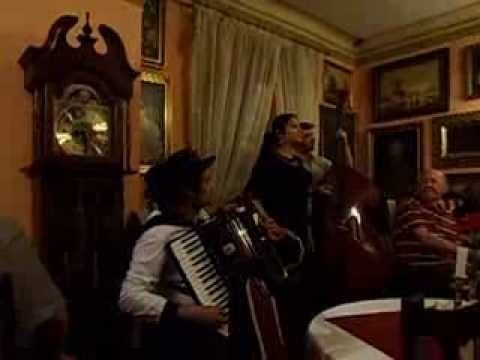 Klezmer --talk about the ultimate jam session! 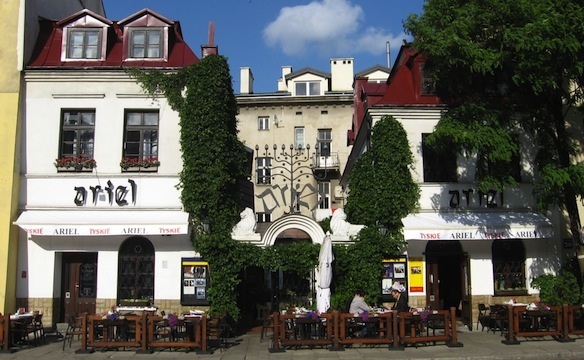 Today there is a very small Jewish community in Krakow, Poland. Hitler's Holocaust all but eliminated the thriving Jewish area of the city. 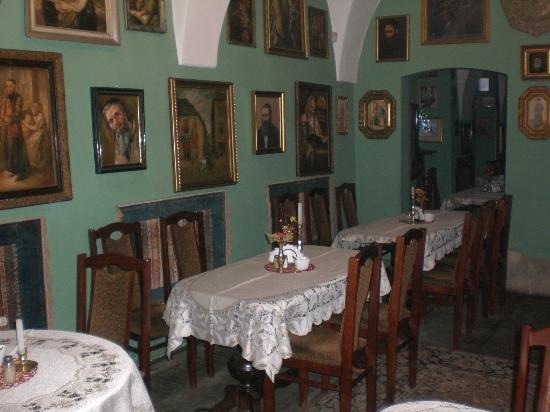 The "Ariel" is a delightful Jewish restaurant that features traditional Jewish food in an atmosphere of mahogany tables with lace tablecloths, paintings of Jewish life, lit menorahs, and yes…live Klezmer music. 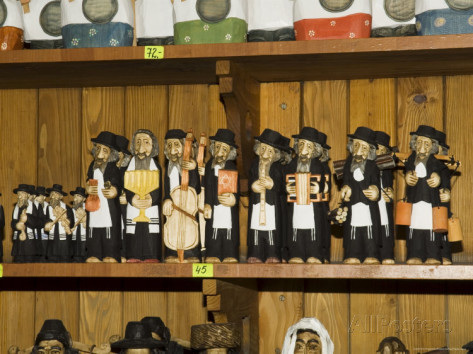 At the historic "Cloth Marker" on the square you will find Klezmer musicians carved in wood! There are two families - The Isaacsons (who are the Jews) and the Ishmaelsons (the Palestinians or Muslims). Thousands of years ago, the Isaacsons arrived in their land of Israel and settled in it, while the Ishmaelsons settled in another land. The Isaacsons lived in their beautiful land for many, many generations. Until one day, Roman soldiers came and took the Isaacsons from their land and sent them far away, overseas. The Isaacsons were not liked in the countries where they lived and the people in those countries wanted them to leave. So much did they want the Isaacsons to leave, that they killed millions of them. 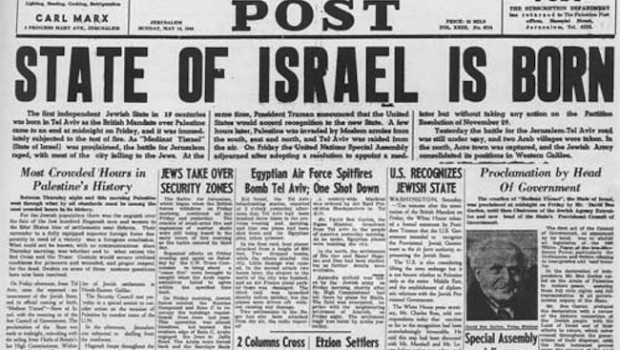 After the Holocaust the Isaacsons (Jews) decided to go back to their own land, the land that had been stolen from them, and create their own country once again. 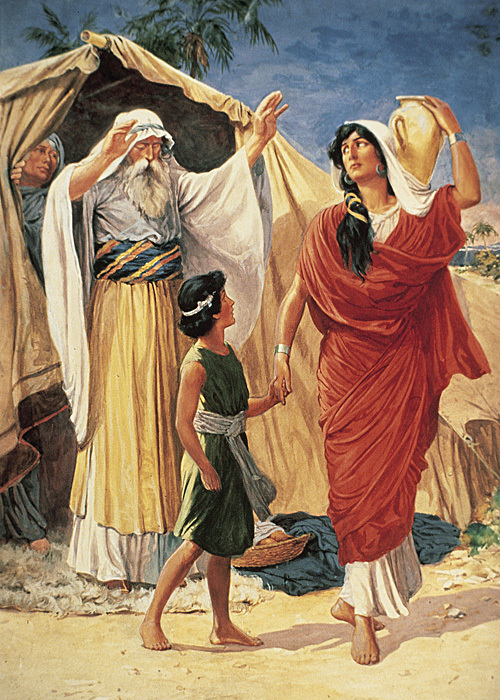 So 2000 years after their forefathers had left the land, the children of the children of the children of the Isaacsons came back to their land. But there was a problem. 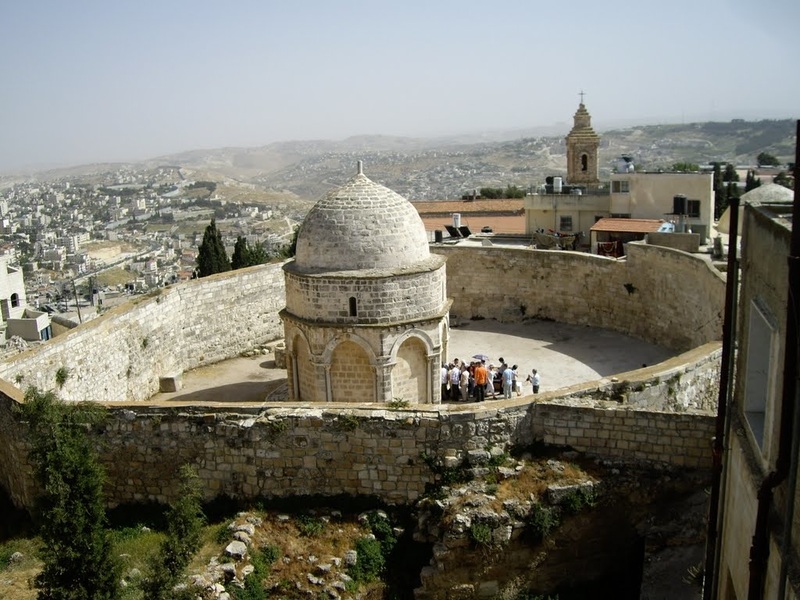 It turns out that while the Isaacsons were away, the Ishmaelsons (the Palestinian Muslims) had created their own big empire about 1300 years ago and many of them came to live in the land that the Isaacsons had been forced to leave behind. So for 1300 years, the Ishmaelsons lived in the land of the Isaacsons. So much time had passed and so many generations, that no one even remembered that this land once belonged to the Isaacsons (Jews). 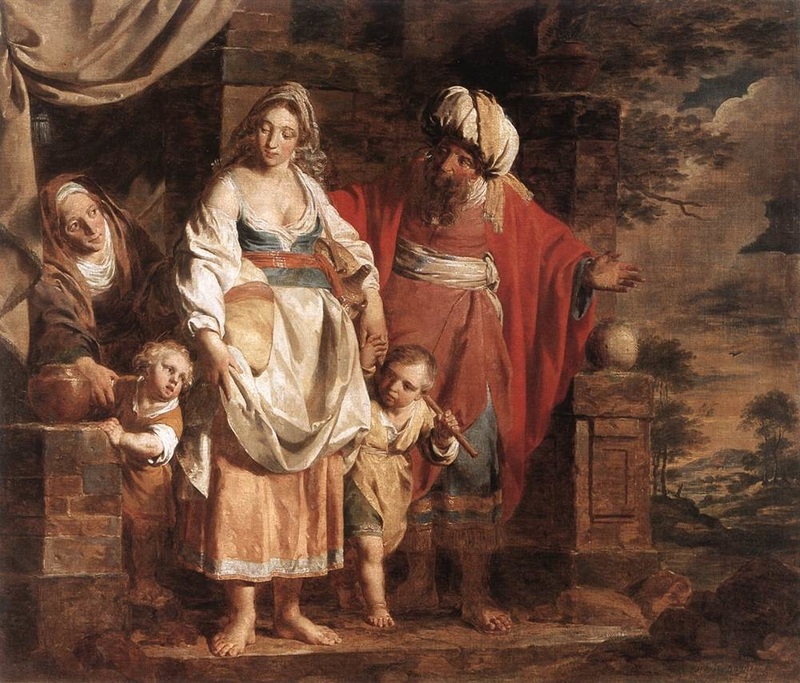 So when the Isaacsons came back after 2000 years of being away in lands that never accepted them and wanted to live in their land, the Ishmaelsons were very unhappy. "We have been living here for 1300 years!" shouted the Ishmaelsons. 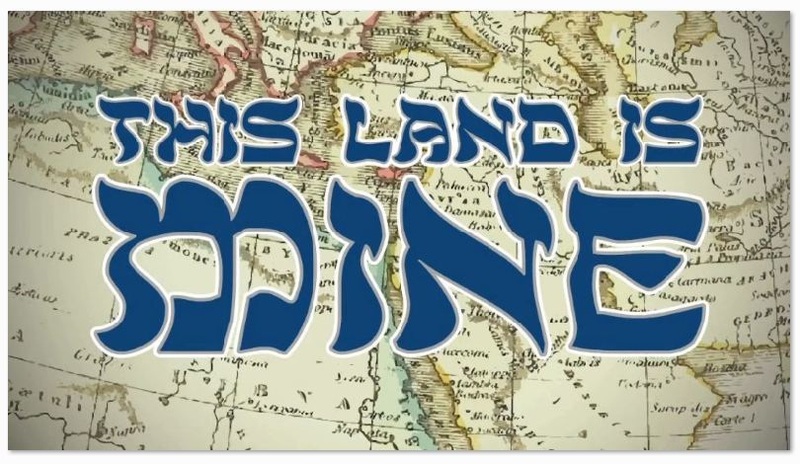 "This is our land! "It's true that you have been living here for 1300 years," shouted back the Isaacsons, "but this was our land, it was stolen from us, and we want it back! We are here to stay!" So the Ishmaelsons took out their rifles and the Isaacsons took out their rifles and they started shooting. There have been many wars and battles between the Ishmaelsons and the Isaacsons in the past 70 years. Many people have died from both sides. 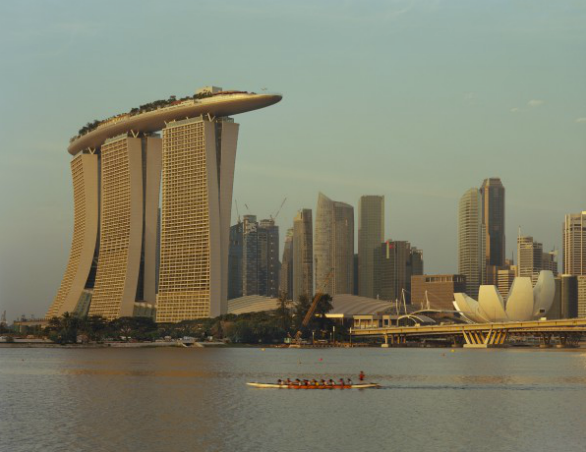 In the meantime, the Isaacsons made their dream come true and created their own country. They called it Israel, just like the land of their forefathers. During the wars between the Isaacsons (who are now called "Israelis") and the Ishmaelsons, the Israelis conquered Ishmaelson villages and the people from those villages ran away to save their lives. There were also times when the Isaacsons forced them to leave. 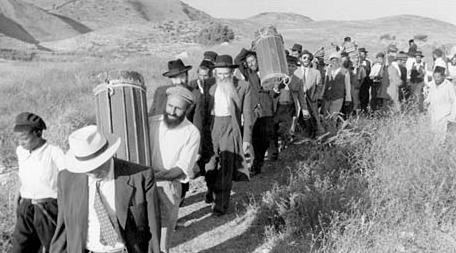 Until today, those Ishmaelsons who left their homes during the wars, can't come back to their villages. Amazingly, just like the Isaacsons, no one wanted the Ishmaelsons anywhere either. Wherever they went, even in other Ishmaelson countries, they were not treated well and the people from those countries wanted them to leave. So these Ishmaelsons who left and those who stayed - decided the best thing would be to create their own country. They said "We are no longer known as Ishmaelsons. 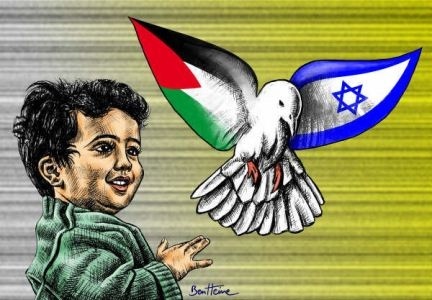 From now on, we are to be called Palestinians and we want to have our own country, Palestine, which we will build in the land that was once ours." But the Israelis who already had their country were unhappy. 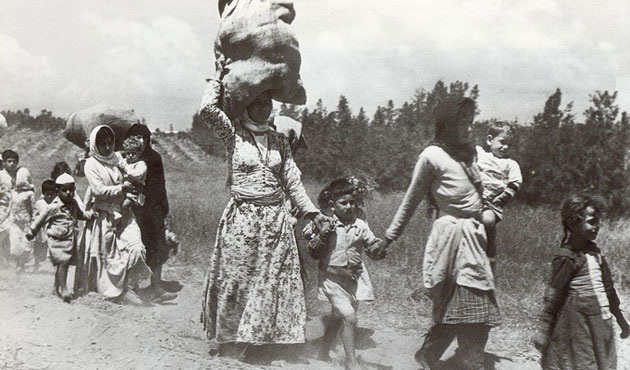 They did not want to give back to the Palestinians the land that had been stolen from them. They were afraid that the Palestinians, if they got these areas back, would want all of the land, even the part that is now Israel. 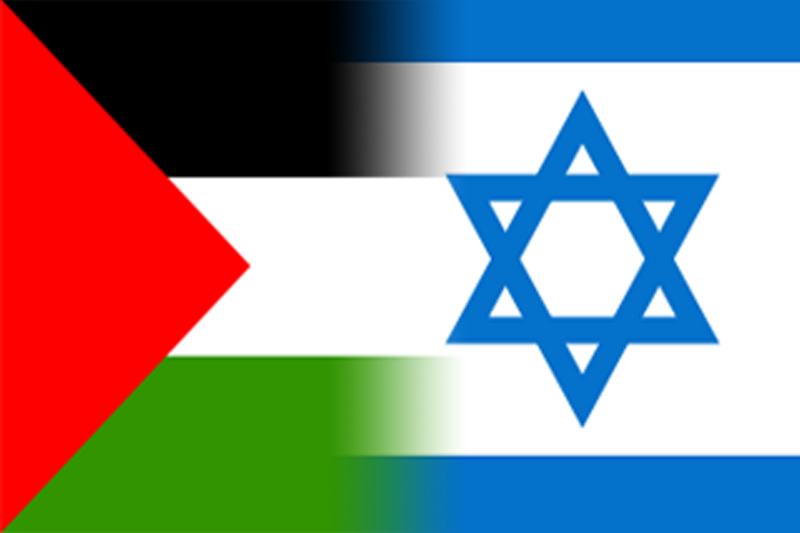 So, today, the Palestinians and the Israelis keep fighting. Sometimes years go by without battles and sometimes years go by without peace. They are both tired. There are many Israelis and Palestinians who want to live quietly and stop the fighting. Many of the Palestinians would be happy to take just a small piece of land and call it their own. Many of the Israelis would be happy to give them that land. They both know that peace and happiness is much better than war and death. But there is always the fear by both that they will lose their land and so they distrust one another. 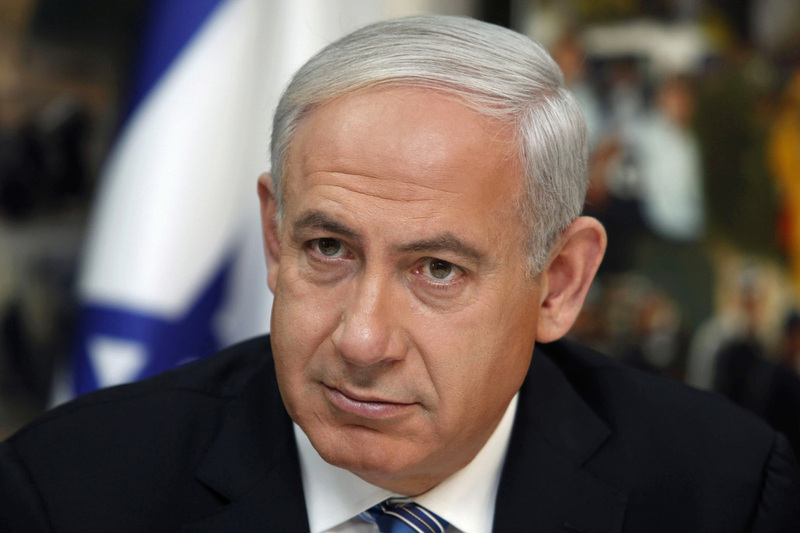 Mr. Netanyahu and the people of Israel are always working to keep peace and to make sure that no one ever takes their land away from them again. 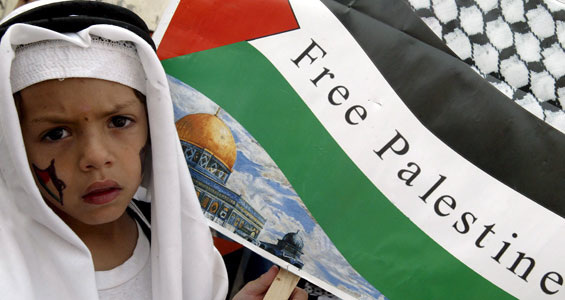 The Palestinians also want peace, but they, too, want to have their own land. There are no easy solutions for either of them. 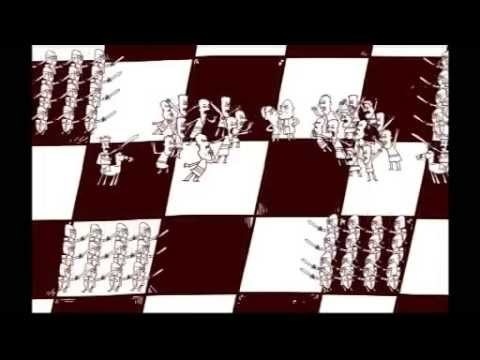 Romans take the land and send the Isaacsons (Jews) away. The Isaacsons try to make a new life in the countries of Europe, but they are no accepted and are treated badly. 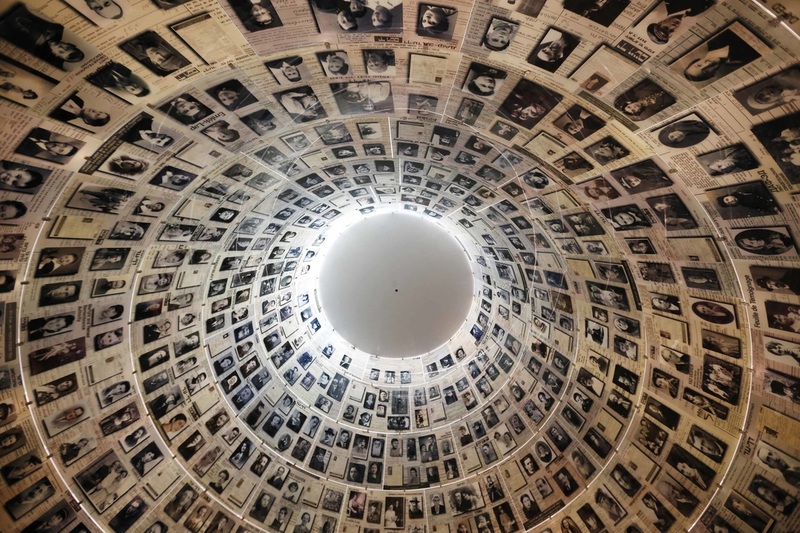 During the Holocaust 6 million of them are murdered. Neither side trusts the other, and the histories of both peoples give them reasons to distrust everyone but themselves ---"What is the solution"
Recognizing that their survival as a people can only be realized in their homeland, the Isaacsons return to Israel. 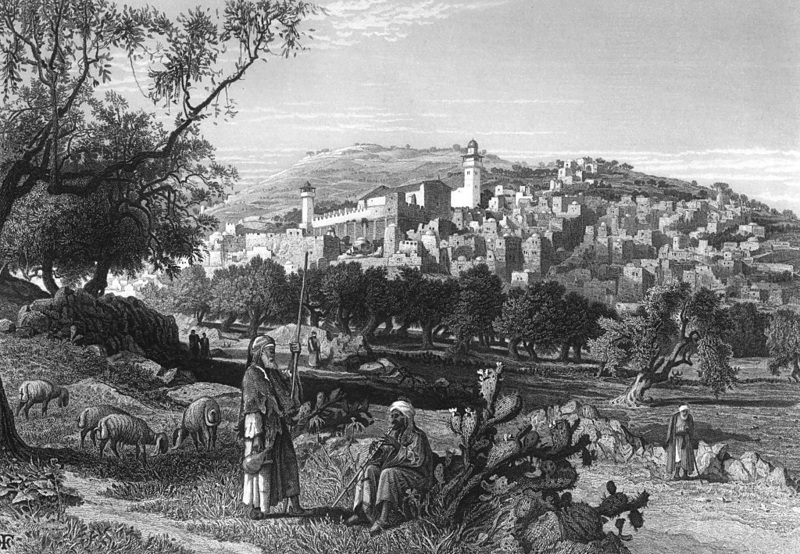 The Ishmaelsons (Palestinians-Muslimes) moved into the land after the Romans left and created their own country. They had been living there 1300 years. There is always a dream of peace, but a peace that is safe and guarantees freedom... perhaps the children will be the answer. 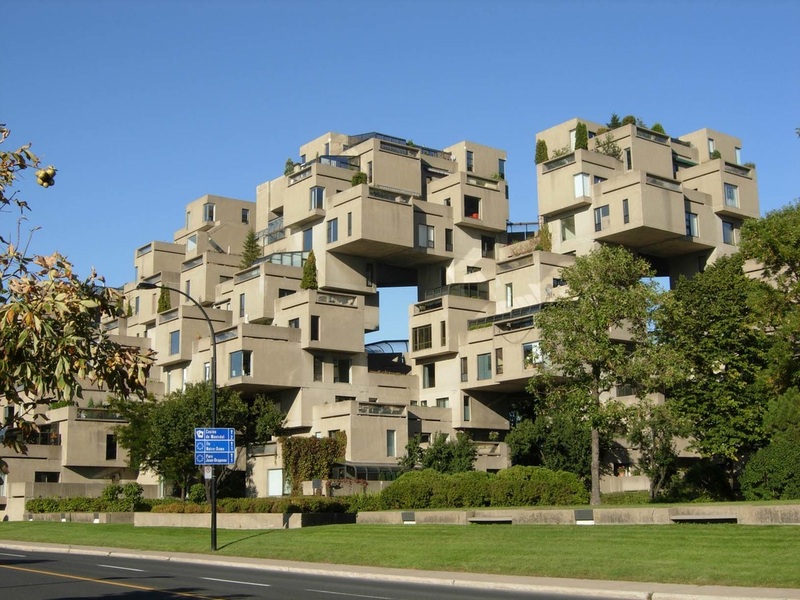 DAY 4: Moshe Safdie - Moshe Safdie's master's thesis project quickly became a cult building: his modular "Habitat '67" apartments for Montreal Expo '67. 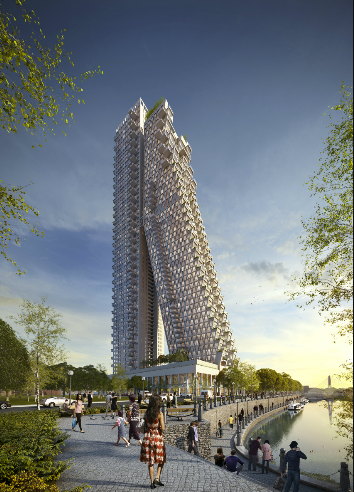 Within a dizzying pile of concrete, each apartment was carefully sited to have natural light and a tiny, private outdoor space for gardening. 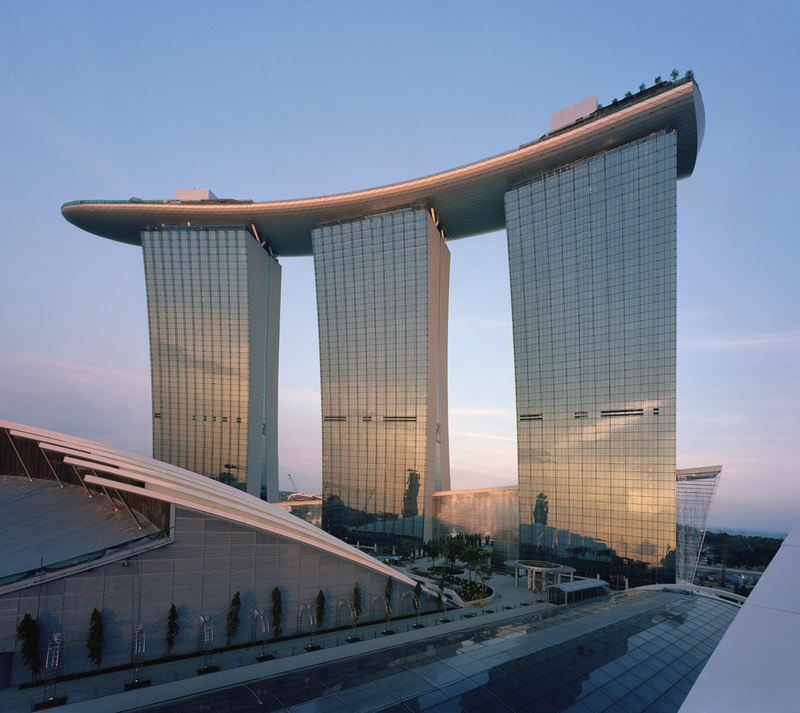 These themes have carried forward throughout Safdie's career -- his buildings tend to soak in the light, and to hold cozy, user-friendly spaces inside larger gestures.He's a triple citizen of Canada, Israel and the United States, three places where the bulk of his buildings can be found: in Canada, the National Gallery in Ottawa, the Montreal Museum of Fine Arts, the Vancouver public library. 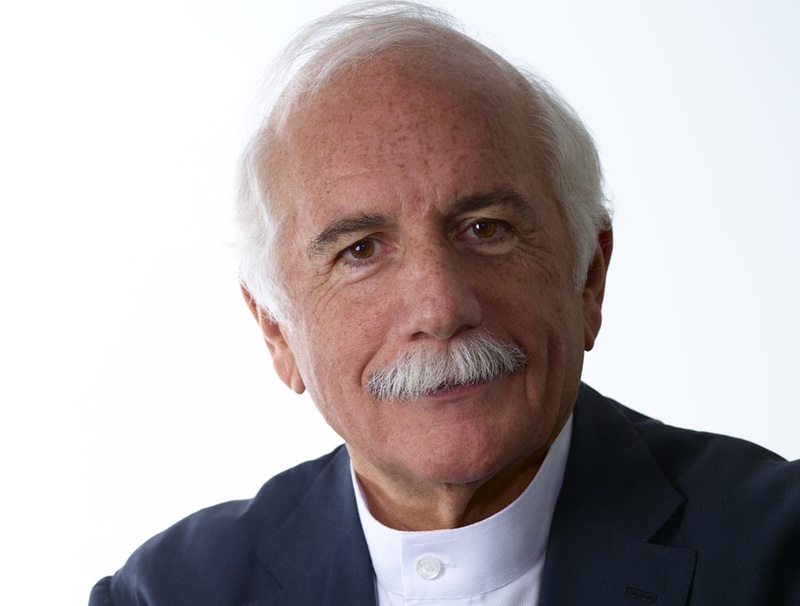 For Yad Vashem, the Holocaust museum in Jerusalem, he designed the Children's Memorial and the Memorial to the Deportees; he's also built airport terminals in Tel Aviv. 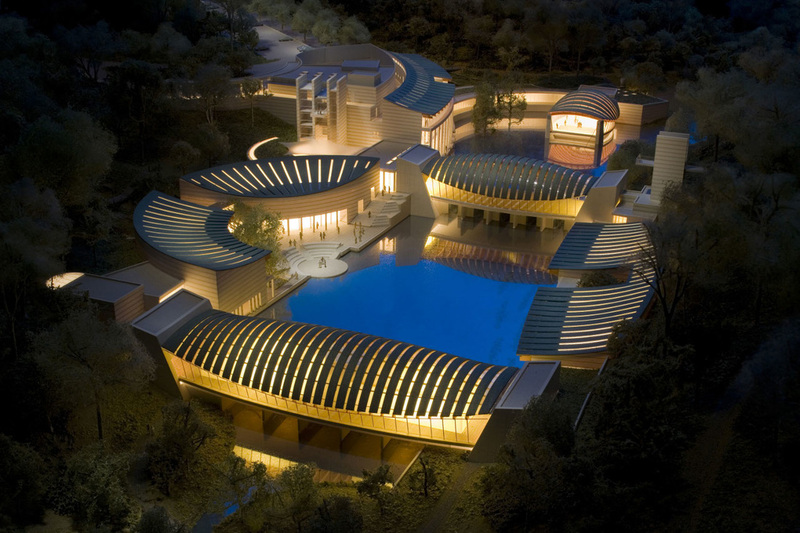 In the US, he designed the elegant and understated Peabody Essex Museum in Salem, Masachusetts, and the Crystal Bridges Museum in Arkansas. 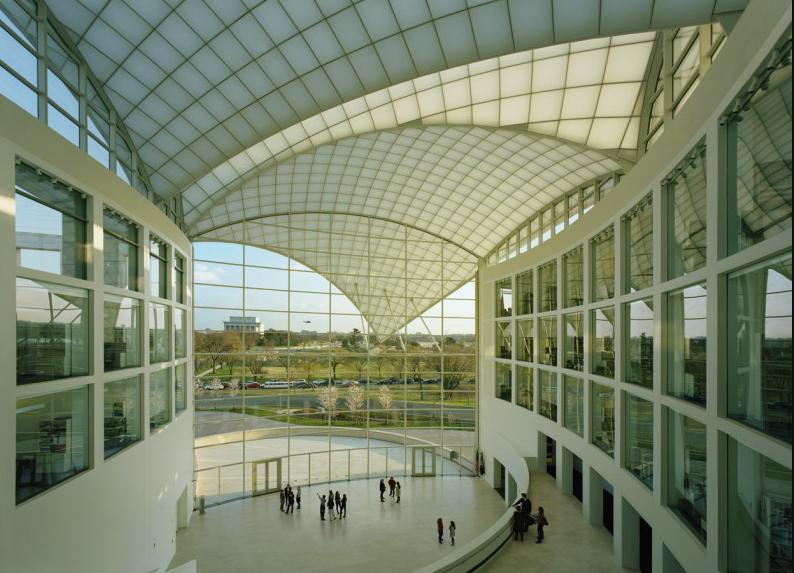 United States Institute of Peace in Washington D.C.
DAY 5: St. Helen - St. Helen was the mother of St. Constantine the Great. After St. Constantine became the sole ruler of the Western Roman Empire, he guaranteed religious tolerance for Christianity which had been banned from Rome. 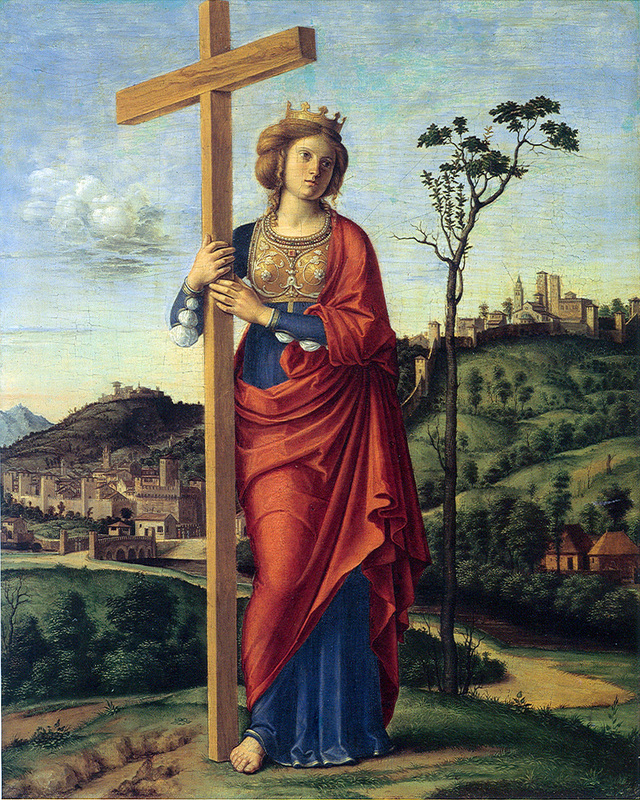 St. Helen, who was a Christian, may have influenced him in this decision. After three hundred years of persecution, Christians could finally practice their faith without fear. 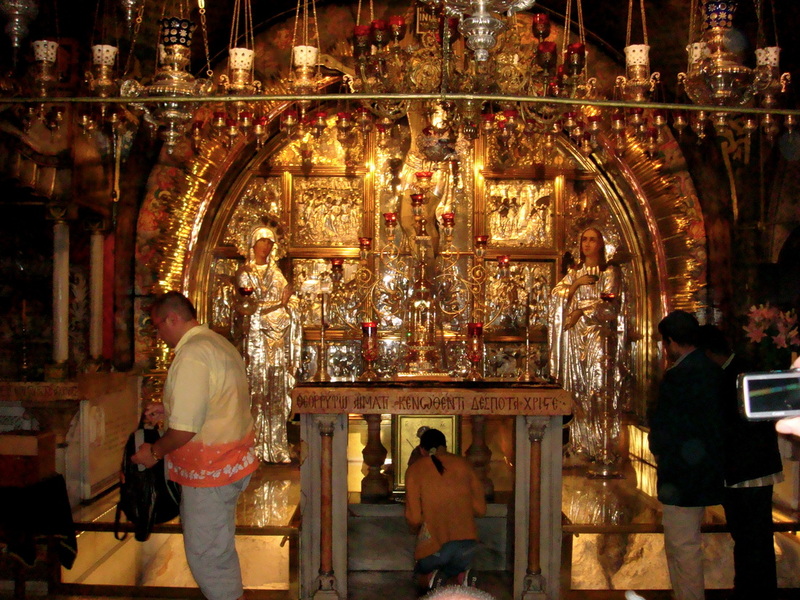 The emperor wanted to find the actual Cross upon which Christ was crucified. He sent his mother, Helen, to Jerusalem, to seek Jesus’s cross. Although she was already rather old, she set about completing the task with enthusiasm. She questioned both Christians and Jews, but her search remained unsuccessful. However, in 326, she was directed to an elderly Hebrew Jew who told her the Cross was buried somewhere near the Temple of Venus. 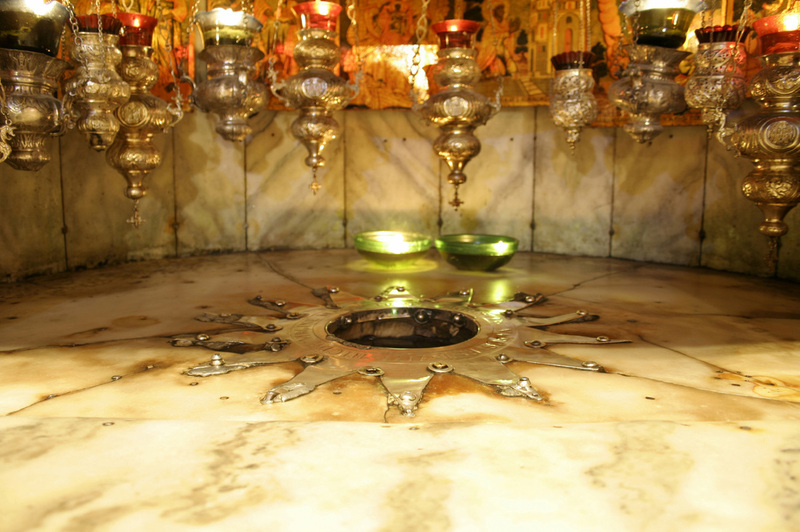 Soon, the Tomb of the Lord was found. Not far from it were three crosses, a board she found the inscription ordered by Pilate. There are many stories about St. Helen’s quest. 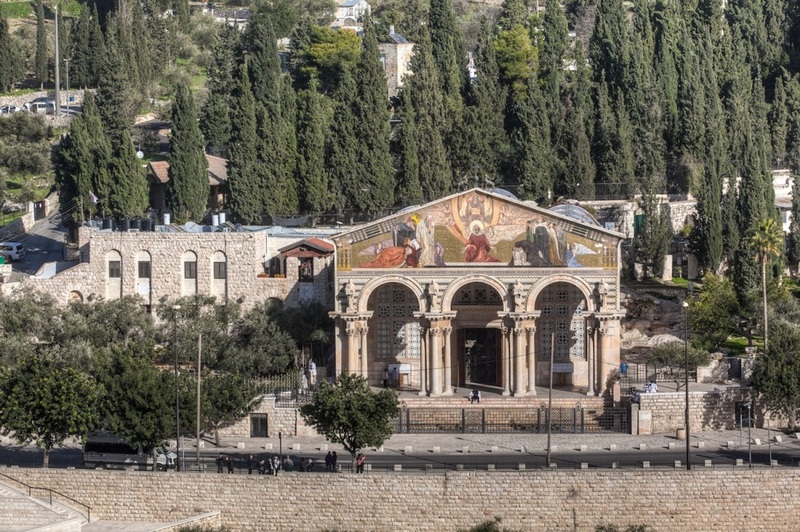 While in Jerusalem, St. Helen performed a variety of good works, including giving money to the poor. She also ordered that all places connected with the earthly life Jesus have churches built to remember these places. Today there are those who do not believe that the sites St. Helen are the actual places, but there are also those who do believe the sites are authentic.